corporate entertainment Melbourne, corporate entertainment in Victoria, entertainment Melbourne. Corporate entertainment Melbourne, corporate entertainment Victoria. SNAKEBUSTERS® - THE BEST CORPORATE ENTERTAINMENT IN VICTORIA. Is your corporation planning some staff or client entertainment? Well, if in Melbourne, then forget any other entertainment. Nothing competes with Snakebusters and our top-of-the-line live reptiles to give the adults (and their kids) a good fun time at the ultimate corporate party or corporation event. 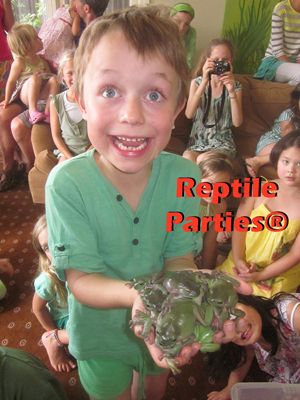 To book your own Reptile Party® call (03) 9812 3322. 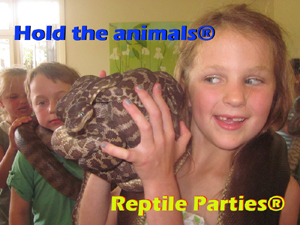 Partying on, with live reptiles will entertain all age groups and gender ... no one will feel left out at a snakebusters corporate party. What's more, Snakebusters are the only "hands on" reptile party in Melbourne where you, the audience members don't just touch reptiles, but are actually allowed to hold them! If you or the others only want a half-baked "show and tell" or perhaps just to touch a snake's tail, then get any second-rate travelling reptile outfit. 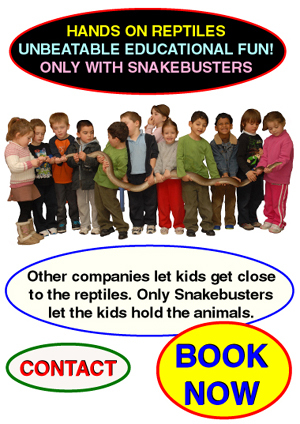 But if anyone wants to have real fun, the wildest party in town and to hold the reptiles, then there is only one choice - a Snakebusters corporate party! 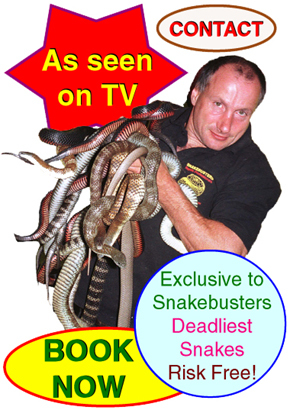 Snakebusters have been consistently rated the best in the corporate entertainment business for many years - yes beware the fly-by-night operators who make false claims. Our corporate entertainment is educational, interactive and "hands on", so the staff or guests actually learn things of use at the same time. What makes a Snakebusters party better than other advertised corporate "reptile party" entertainerment? Several things actually, (see the link for all shows and party's), but the main thing that people notice is that our corporate event entertainment, shows, party's and incursions (yes we come to you) are "full-on - hands-on" as in usually everyone holds pretty much everything - AND - without waiting. Lots more critters at a time at a snakebusters corporate event, where you can hang onto reptiles rather than handing them on, because we bring enough for everyone to hold at the same time! 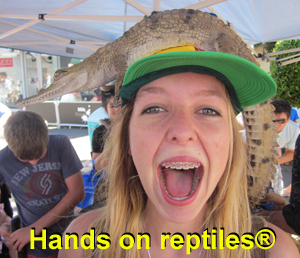 No other reptile party company competes with a snakebusters reptile party. Deadly snakes that don't bite! (another Snakebusters exclusive), harmless snakes in huge numbers at your corporate party, monster pythons, lizards, crocodiles, tortoises, frogs, a gift that isn't junk, etc ... we bring the lot! Pricing usually starts at $260 per corporate event (Melbourne metro 2009 prices), making Snakebusters cheaper than almost all other less popular corporate entertainment alternatives. It's best to phone us (day or evenings are OK), rather than send an e-mail. We don't get all e-mails sent and don't necessarily respond to them straight away. More importantly, as the most sought after corporate entertainers in Melbourne with reptiles, we are always heavily booked, so it's best to book Snakebusters before sending out invitations and the like. Questions worth asking if you are shopping around for corporate entertainment in Melbourne. A list of some Snakebusters corporate clients. Corporate entertainment Melbourne, Victoria, corporate parties Melbourne, Victoria, company entertainment with reptiles, Melbourne, Victoria, Snakebusters are Melbourne, Victoria, Australia's most sought after corporate reptile parties, with most reptile hands on, most audience interaction with reptiles, best educational outcomes for reptile incursions and with the best reptiles displayed in a corporate entertainment setting in Melbourne, Victoria. 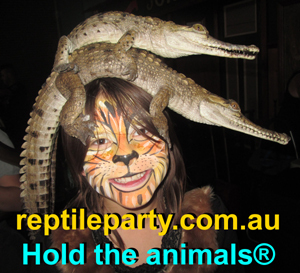 © 2015, Snakebusters, corporate reptile parties, company reptile events entertainment, Melbourne, reptile education throughout Melbourne, Victoria and Australia, through active "hands on" entertainment. All rights reserved. ©2015 The Snakeman, including: for Corporate Parties entertainment Melbourne, Corporate parties Victoria including corporate party entertainment in Melbourne.